New offer from Listup app. It is give rs 10 for signup and also give rs 10 per refer in paytm. Grab it fast when its ended. It is a Android app which is for classified ads. You can sale anything on this app.it same like as quikr and olx. Its layout or design is good. Easy to use. Its newly launch app so try share this app and earn more. 2.After download app singn up using Facebook. 3.You get notification About rs 10. 4.You can redeem it in your paytm wallet. Choose option refer and earn. 6.When your friends download you and your friends get rs 10. 7. 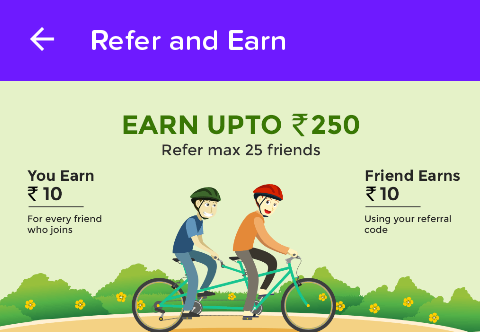 You can refer 25 friends means that you can earn 250 Rs.